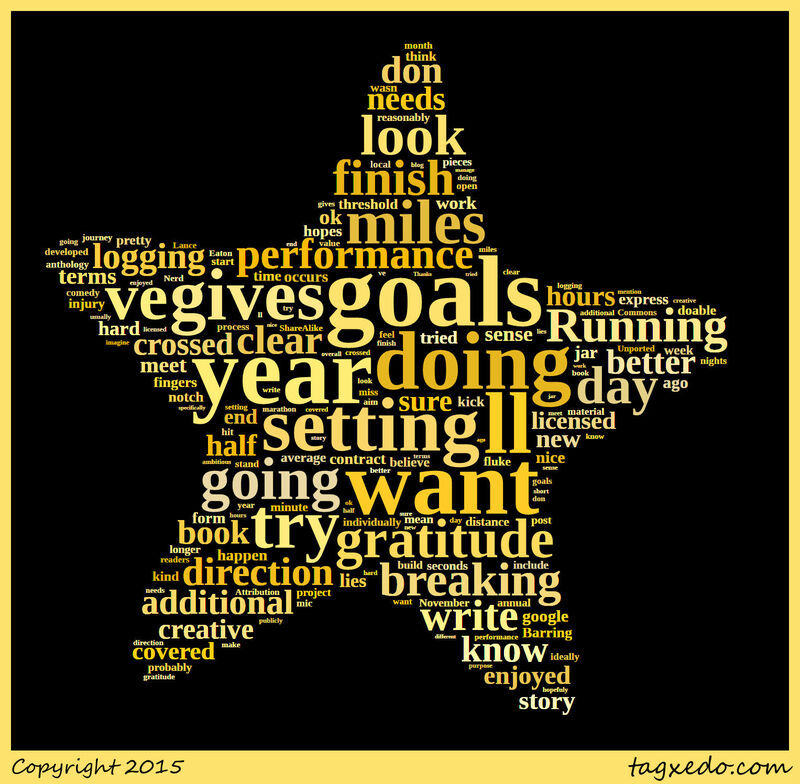 The Goals for 2016--Let's Do This! So I have already covered what I did last year in terms of goals, but what would 2016 be without some clear goals to get me going. I should mention that I set these goals to give me some direction. I'm hopefuly I'll meet many of them and usually am ok if I don't. If nothing else, setting the goals (and doing so publicly) gives me some direction and sense of how I would like to end the year. I know some of these may seem ambitious and overall, it can seem hard to imagine trying to get them all done, but therein lies the purpose of the goal-setting. It gives me something specifically to work towards and if I don't, well, there's always next year. What do these goals look like? I had tried a gratitude jar a few years ago but did not manage to keep up with it. This year, I'm going to try something different: a gratitude log. I've set it up as a nice and clear google form that I can fill out and rather than doing it once a day, I'll do it as it occurs with the hopes of doing it at least once a day. 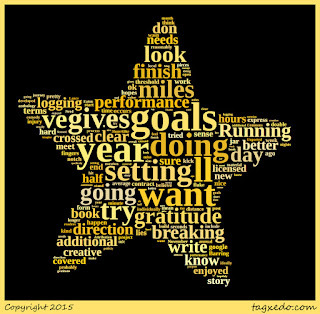 In addition to logging in my gratitude, I will also look to better express it to others throughout the year. So this needs to happen since there is the contract and everything. I'm hopefully going to get it in on time (fingers crossed!). It will also be nice to have this project behind me since there is so much else going on. This year, I want to try to get to 1500 miles. I've crossed the 1250 mile threshold the last year, but I want to kick it up a notch. Barring any kind of injury, I believe I could make this goal. I'd need to average about 29 miles per week and I think that is pretty doable. In additional to the distance, I have three other running goals: Run under a 40 minute 5-mile; break 1:55 for the half marathon (this may only mean improving by 15 seconds, but I want to make sure my breaking the 2 hour half-marathon wasn't a fluke), and doing 2 marathons and doing reasonably better on them than my last 3 (let's go with breaking 4.5 hours). Beyond the book, I want to write more. That will include part of my annual project on the blog which I'll post about in a few days, but also try to write a few more creative pieces. In November, I finished the first short story I've been able to start and finish for probably at least 10 years if not longer. I want to build up some short stories and do something with them--either look to get them individually published or do an anthology. As some of you know, I had my first go at stand-up comedy and I enjoyed the process and performance. I want to do more with this. I've developed new material and feel like I could enjoy performing it at some of the local open-mic nights. I would ideally like to do this once a month. There they are. I'm sure I'll hit some of them and others I'll miss--it's all part of the journey and I'd rather have goals as it gives me something I value to aim for. What about you, dear readers? What are some of your goals for the new year?